Lithium coin battery kit for the Amiga A500 Plus, 1500, 2000, 3000, 3000T and 4000 Desktop. This can also be used on selected memory expansion cards with barrel batteries such as the old Commodore A501 RAM board. Ideal for replacing the old barrel battery with a modern coin cell battery which is easily replaced in future once the kit is installed. 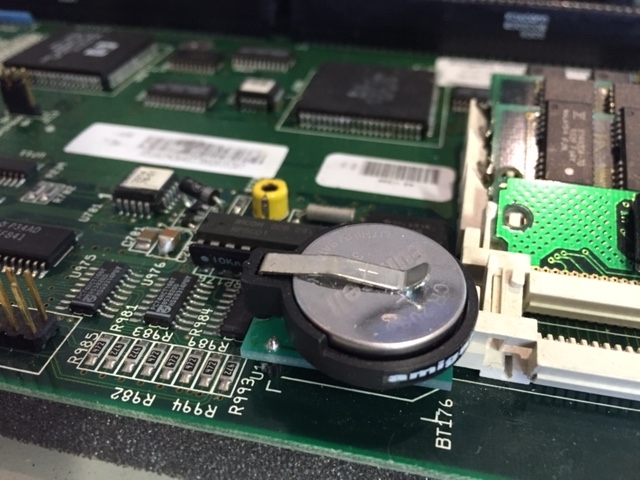 The barrel batteries originally used by Commodore are very prone to leaking and as a result corroding and damaging the Amiga's motherboard. Includes new coin cell battery (CR2032) with holder- if you prefer the unit without the CR2032 battery- you can configure product options below to remove it (and reduce the price). 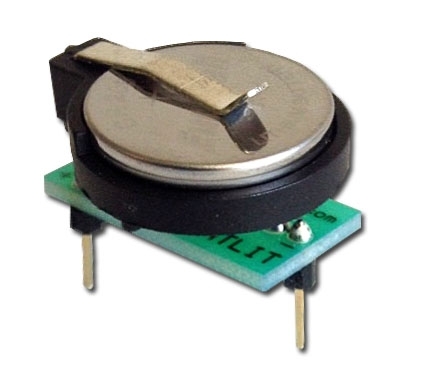 Battery holder PCB contains protection circuit to prevent charging of the coin cell. Adapter is three pin matching the leg placements of the original barrel battery. This item requires soldering onto the original motherboard at location BT176 (Amiga 4000), BT190 (Amiga 3000 and Amiga 3000T), BT800 (Amiga 2000 and 1500). We can also provide this upgrade as an optional technical service (contact us for details).